One of the things we love most about house sitting is it let’s us try on other people’s lives. 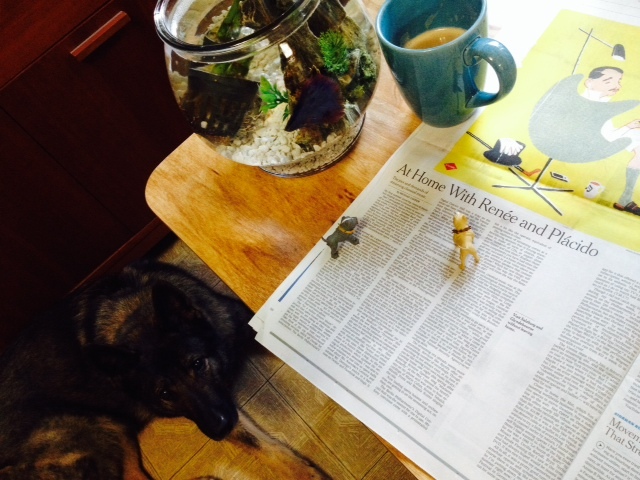 This morning, we read the New York Times to Mr. Fish & the lovely (and very large) Miss Vesper over a delicious homemade cappuccino!